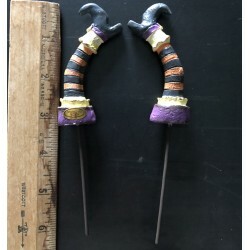 This set of two miniature witch leg stakes designed by Genevieve Gail features all-weather paint. 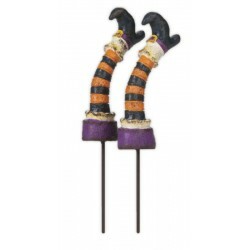 Dress up your Fairy Garden, flower pots, and theme party table for Halloween. Dimensions: 6" total length, resin leg section 3" and stake 3"